The following car features are all a little weird, over the top, or plain ridiculous… and could have all probably used a little extra thought before they hit the market. I can’t believe Nissan were the first to think of this. No, sorry, I can’t believe anyone would think of this and be convinced it was a good idea. 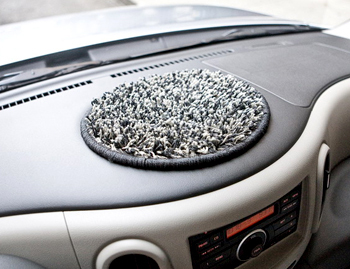 What is the purpose of a shag dash topper, I hear you ask? Nobody really knows … probably not even the designers behind the Nissan Cube in which it appears. But if you’ve ever driven along wishing you could stroke a bit of shag carpet with your free hand, now is your chance! Sure, you can sync your Bluetooth phone or MP3 player up to your car speakers – so what? And your radio gives you access to millions of songs for free – big deal! Haven’t you ever sat in your car and wished you could give your old vinyls a spin? 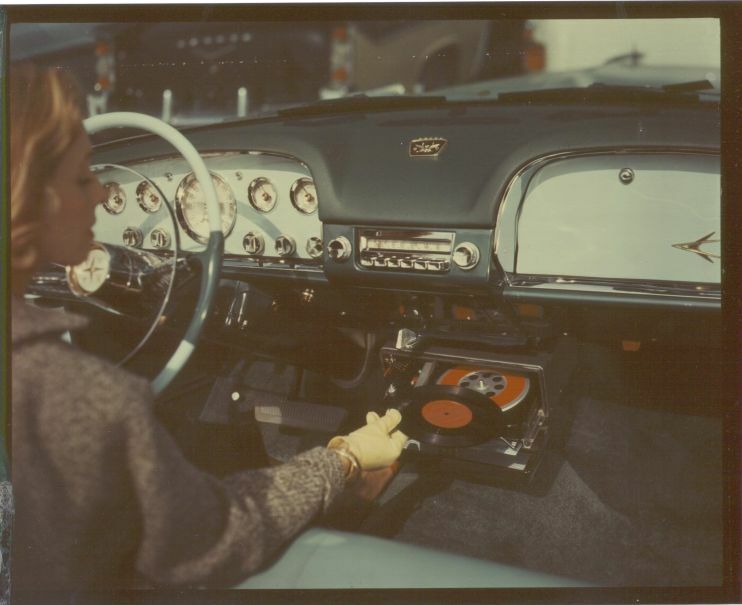 The Highway Hi-Fi allowed you to do just that. It was an inbuilt system created a few decades back that played seven-inch phonograph records, with the added bonus of scratching all of your favourite vinyls and making the music skip more than a kangaroo on hot gravel. Who says you need to be able to put the top down to enjoy the starry skies? 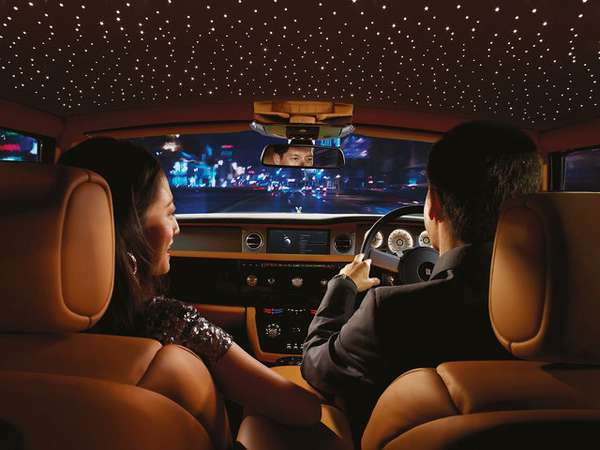 Rolls Royce had the bright spark of an idea to design a car ceiling that lit up with the constellations. OK, so this idea might seem a little cool to some, but the price tag really justifies its ridiculousness. In the US, you can expect to fork out a cool $12,350 to pimp out your Rolls’ roof. Totally worth it though, right? Provide enough clean drinking water to feed more than 500 people in underdeveloped countries for 25 years, OR make your car’s ceiling look all pretty! Convertibles were invented so that people could cruise along on warm summer days; the wind in their hair and not a care in the world. It seems a little backwards, then, that some carmakers include an “Openometer” to show you how long the top has been down. Why would someone need to know this? Apparently it’s so you can monitor how long you’ve been exposed to the sun… seems to be a bit of overkill to me. “Car door umbrella” seems like a bunch of random words thrown together, but it’s not. 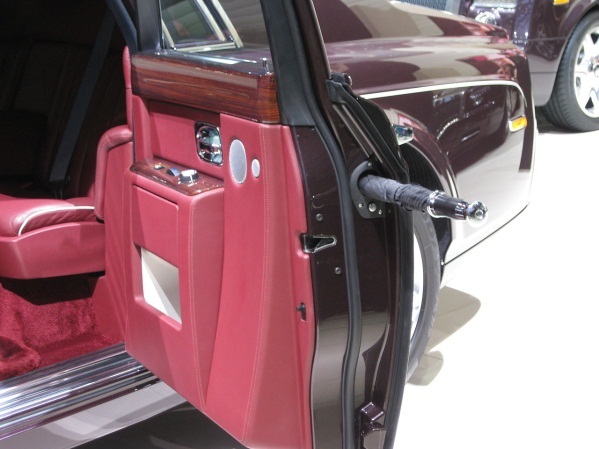 It’s another obscenely luxurious car feature from the masterminds at Rolls Royce. How have you ever lived without it?! Walking through the rain is for peasants. Now you (or, more likely, your butler) can make sure you’re always protected against the elements thanks to your wonderfully branded Rolls Royce door umbrella. Where did I put that umbrella? Oh – inside the car door, of course! Ever been driving along and felt haunted by the idea of your car’s badge spinning along with the wheel? Who decided to put branding in the middle of a tyre, anyway? Don’t those carmakers know you want to show off your spiffy vehicle brand at all times? Don’t worry – Bentley gets you. 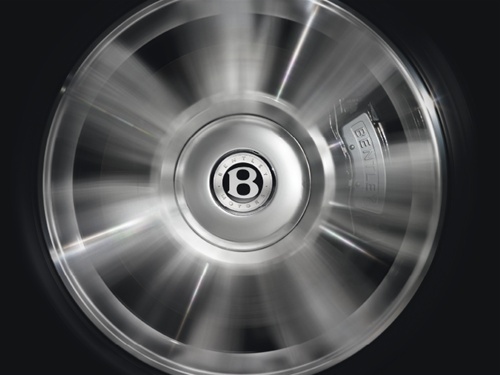 They’ve created self-levelling wheel badges that are weighted in a way so even when you’re cruising along, that famous “B” badge will stay upright. And we can all sleep easily tonight. 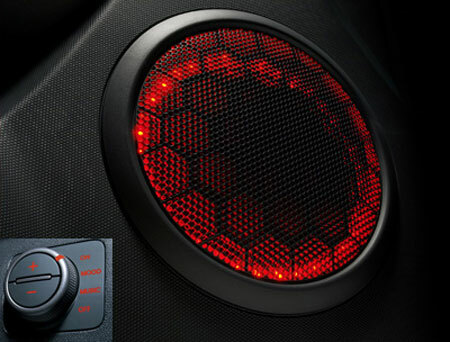 Car speakers fitted with lights that pulse and change colour in time to your music: in theory they seem kind of awesome, but in practice, they seem kind of unnecessary and dangerously distracting. The makers of Kia Soul don’t care about that though; they just want you to have a good time! Bonus: Mini also brought the party to the driving experience by adding “ambient lighting” to some of their Cooper models. 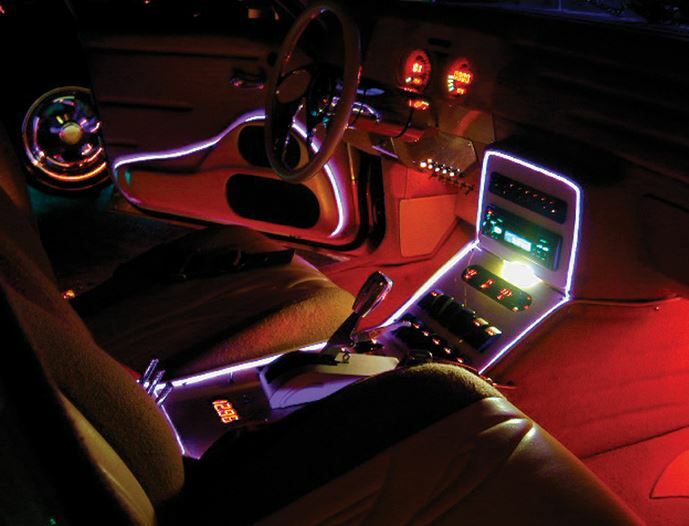 This also grooves along to the beat and turns your whole car interior into a disco. Who needs to concentrate on driving, anyway? 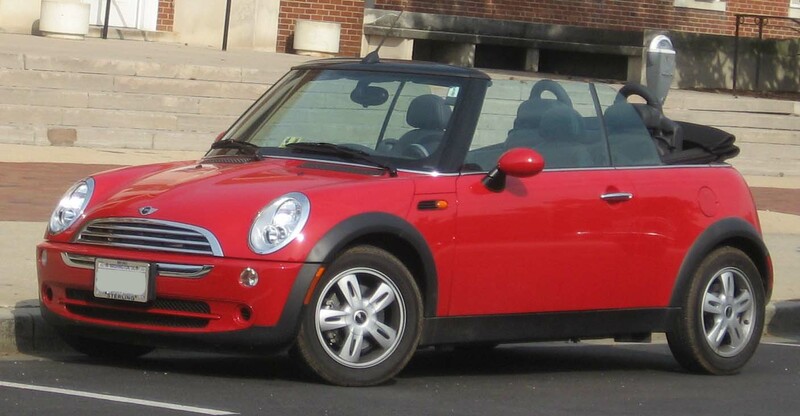 It’s a party in your car and everyone (that you can fit into a Mini Cooper) is invited! 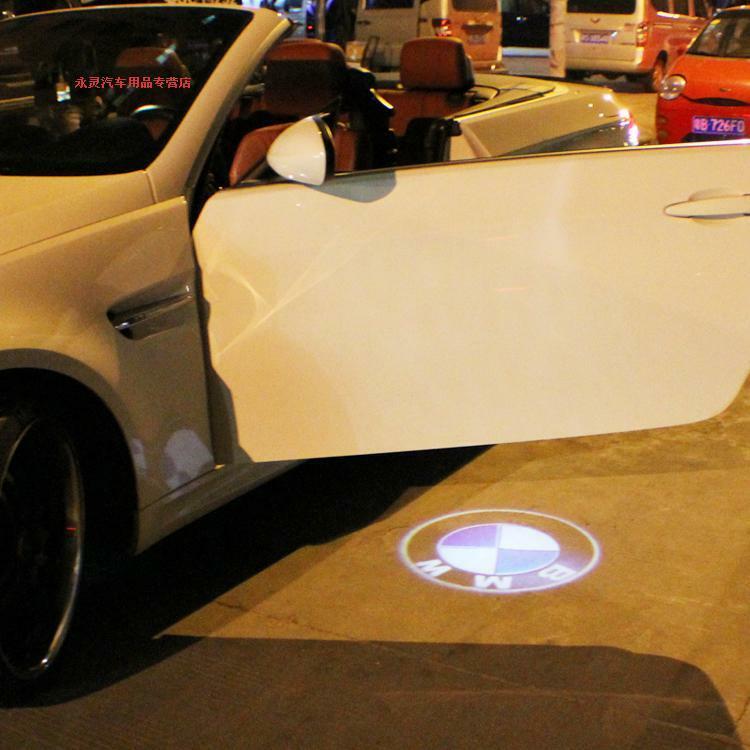 Whether it’s for people who have forgotten they’re driving an obscenely expensive BMW (easy mistake), or because the carmakers have a bit of a thing for Batman, this door light redefines the term “over the top”. 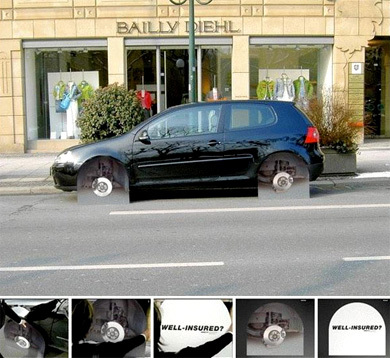 One way to make sure your tyres don’t get stolen – pretend someone else has! These wheel covers are supposed to trick vandals into thinking that another vandal has already beat them to the punch… but are more likely to just make anyone passing by laugh. 10 points for effort, though! It’s pretty reasonable to want your car to smell nice – there’s a whole air freshener industry that banks on that. But an inbuilt perfume dispenser? It’s all too much. 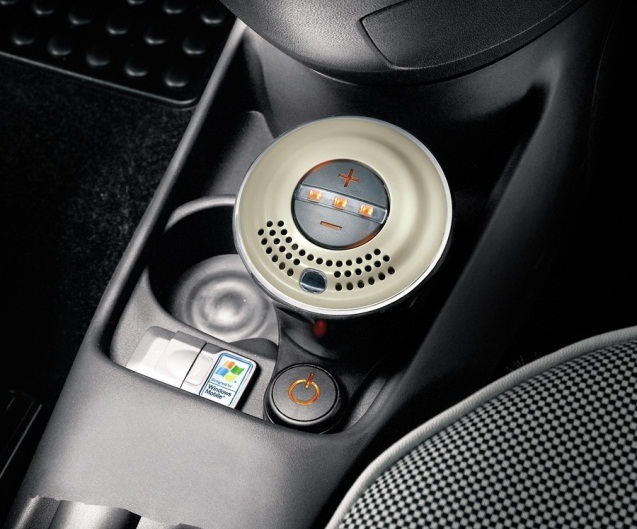 The Fiat perfume dispenser, in particular, takes up a whole cup holder – how wasteful! What am I going to do with all of my takeaway Starbucks cups?! Even if your car has been fitted with some crazy features, Are You Selling will still buy it from you. If you’re looking to sell, we’re looking to buy! Contact us today.